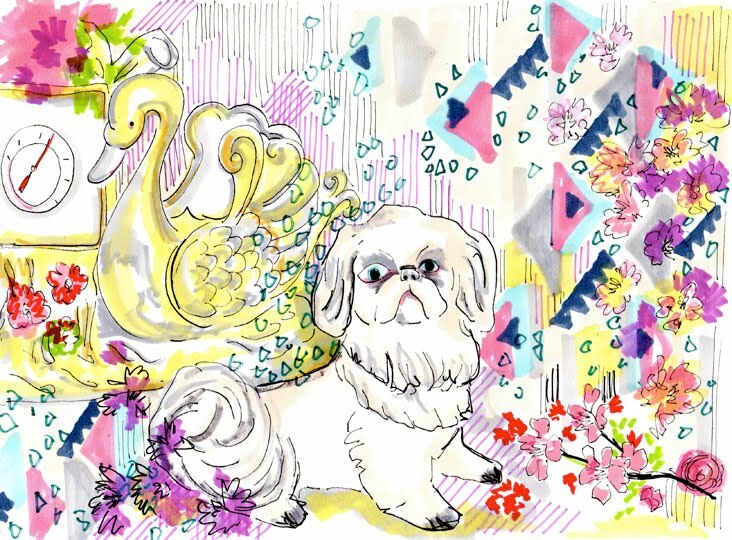 July 02, 2010 in "dogs", "drawing"
I was in London yesterday for New Designers. The day was a great success for Bath Spa University. Awards won, samples bought, opportunities to exhibit! Everyone did great, congrats to you all. Today I finished my commissioned piece. The response from the commissioner was great. Of course she's only seen photo's but was delighted. Good for her and me!! The dog below was supposed to resemble a royal type mutt. Ben said she looks more religious.